Based in Cambridge, Massachusetts, Peak Support is a rapidly growing services provider dedicated to providing exceptional support to high-growth companies. We offer a wide array of services including customer support, sales operations, and business process outsourcing. Our global delivery model enables us to provide service from the Philippines and the U.S. We hire the best agents in the business and we are relentlessly dedicated to helping our clients succeed. Peak Support’s leadership team – Jonathan, Bianca, Judz, and Haze – met in 2013, working at the highly acclaimed app TalkTo. They recognized that the company’s customer support team was an incredible asset and decided to build the strongest service organization in the world. They designed an exceptional system for recruiting, training, and mentoring new hires. They developed analytics and quality assurance systems. Most importantly, they established a culture and a set of core values that would foster both client success and team member satisfaction. TalkTo was eventually acquired by Path, which was purchased by Kakao Corp. Peak Support launched in June, with its first client, and grew to three clients by the end of the year. All three of those clients are still with us today. Peak Support has 15 clients and three service lines (customer service, sales operations, and back office outsourcing). We serve some of today’s leading growth companies in a variety of industries. We stop at nothing to solve our clients’ problems. We treat our clients’ clients as if they were our own. We treat our clients’ team members as if they were our own. We succeed and fail by our clients – and we choose to succeed! Anything is possible if team members commit to working hard and learning AND Peak Support commits to providing them with coaching, motivation, and resources. We lean on each other. We help each other succeed at work, stay healthy, and live fulfilled personal lives. All people, regardless of race, religion, gender, nationality, age, disability, sexual orientation, or gender identity, are capable of remarkable things. We do not discriminate. We actively seek to identify diverse team members and support their development. We set goals, plan, then execute. We communicate clearly. We strike the balance between analytics and emotions. We welcome feedback. We tell the truth and never lie. We can be trusted with confidential information. We do what is right and just. If we commit to something, we follow through. Each morning we get up and commit to being better than yesterday. We critically study our processes and create better, smarter solutions. 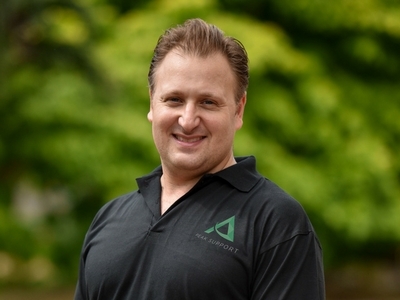 Jonathan is the founder and CEO of Peak Support. Prior to Peak Support, Jonathan designed and built the TalkTo service team. TalkTo was funded by Matrix Partners and eventually sold to Path, which was later sold to Kakao Corp. Jonathan earned his MBA from NYU Stern and a BA in Finance from Northeastern University. His Instagram photos only slightly exaggerate the size of the striped bass he catches off the coast of Boston throughout the summer and fall months. Bianca is the Director of Operations at Peak Support. 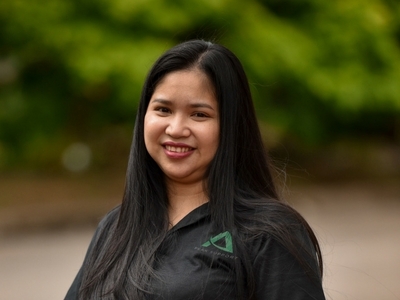 Prior to Peak Support, Bianca was a team leader at TalkTo and Path, where she was responsible for scheduling, payments, general operations, and data analysis. Prior to joining this team, she was a team leader at VXI. She studied Bachelor of Arts in Mass Communication from New Era University. Despite being a career woman, she does her best to be a doting mother/wife. She enjoys spending time with her son, cooking, and doing other chores around the house. Judz is the Director of Talent at Peak Support. She ensures Peak Support hires the right person for the right task. She is in charge of hiring, staffing, performance management, and personnel development. Prior to joining the company, she had 8 years of experience managing teams for accounts including Expedia, DirecTV, DishNetwork, Comcast, and Time Warner Cable. 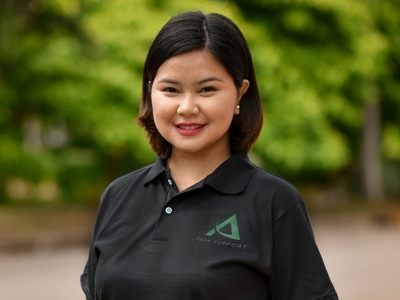 She graduated with degrees in Marketing Management and Applied Economics from the University of St. La Salle – Bacolod. She enjoys collecting anything purple. She spends her free time with her adorable daughters, watching TV, and traveling. Hazel is a Senior Engagement Manager at Peak Support. She manages her teams’ day to day operations and ensures team members work together to meet and exceed clients’ goals. 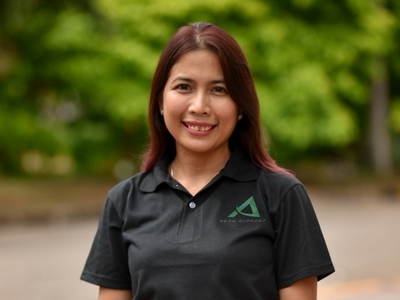 She was one of Peak Supports’ core members who envisioned the company’s potential as a pioneer in customer service support and business process outsourcing. She graduated with a degree in Management Accounting from Ateneo de Davao University. She enjoys spending time with her two boys gardening, baking, and doing home improvement projects. Her fascination with home-grown vegetables has her dreaming of setting up a hydroponic garden at home! What’s The Lifetime Value of Your Customers? Which Media Coverage Will Get Your Startup the Most Traffic?